The small-sized THR delivers the huge sound you want at neighbour-friendly volumes. Utilising Yamaha's renowned AV technology, the THR's stereo sound along with the range of realistic effects including room-filling reverbs and delays revolutionises the practice amp. The included Steinberg's Cubase AI software and USB connectivity enable you to easily record ideas as they come. 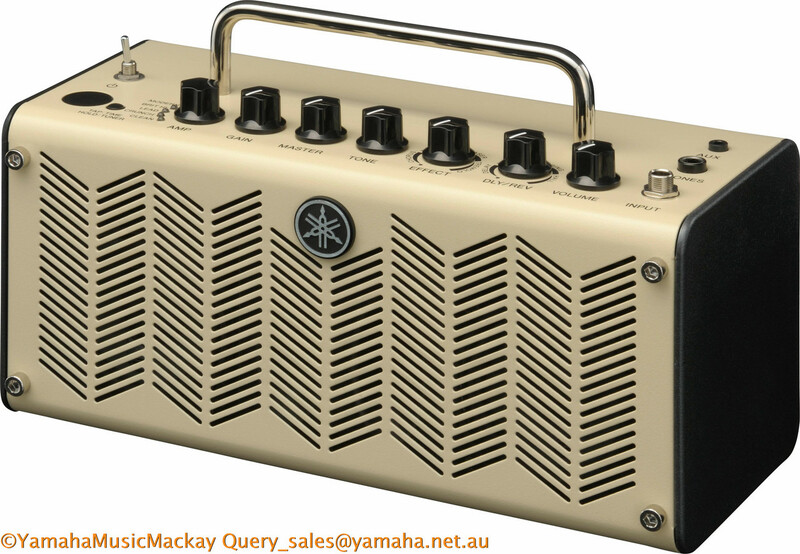 Provides 10 watts of power through two hi-fi stereo speakers and features Virtual Circuitry Modelling (VCM) for authentic tones, five Amp models, morphing tone control, dual stompbox and delay/reverb effects and can be battery or AC powered.